It was typically comprised of egg noodles, a can of cream of mushroom soup, some onions, peas, a couple of cans of tuna fish in water and some black pepper. The extras typically included the cheese powder from a box of Mac and Cheese as well as some real shredded cheese. 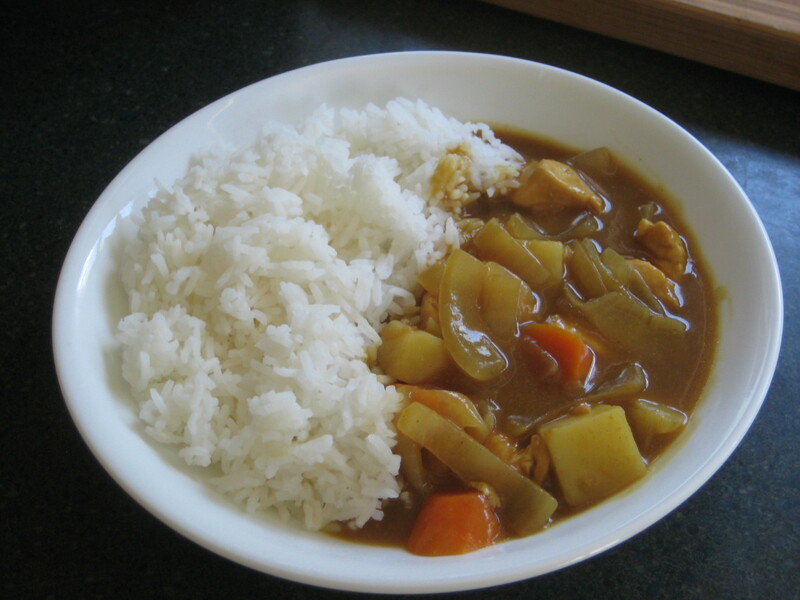 My only other famous dish was Japanese style rice curry. Both were not necessarily very appealing to look at (though both make my mouth water), but both tasted good and filled the belly. I can admit that cooking is not my forte…not even my pianissimo. And I had failures: like the time we were out of cream of mushroom soup so I replaced it with canned tomato soup (yes indeed, YUCK is right). I have still not lived that one down. And then there were the chocolate pancakes I tried to make while serving as a missionary in Japan. I used baking powder….big mistake. They were so bad and rubbery that one of the other missionaries poked a hole in one and hung it on a wall in the apartment. It apparently stayed for over a year in that place in moist Japan and never got moldy or hard…just stayed rubbery. Even some 40 years later I occasionally get razzed about that one! 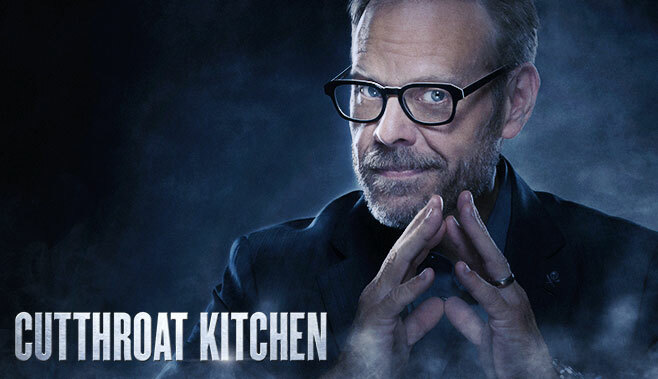 Cutthroat Kitchen – A Food Network classic hosted by chef turned TV Star Alton Brown, the object of the game is to defeat the other cooks in cooking the assigned dish despite a mad array of unusual and sinister sabotages that can be bought by the cooks. They each start with $25,000 and the winner takes home whatever cash they have remaining. The show has also made stars out of well known chefs Jet Tila, Simon Majumdar and Antonia Lofaso. The judges make their decisions on the appearance, the taste and if the dish reminds them of what the assigned dish should be like. 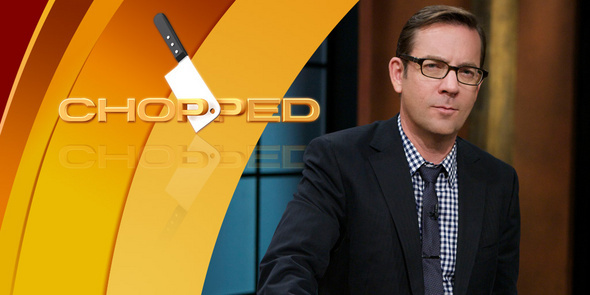 Chopped – Another famous Food Network competition hosted by cookbook author Ted Allen, who first appeared on the Bravo Network’s Queer Eye for the Straight Guy, has been around since 2009. Four chefs compete for $10,000 in three rounds having to concoct dishes from a mystery basket that typically has four very diverse ingredients. The judges base their decision on creativity, presentation and taste. The show has made stars out of judges Aaron Sanchez, Geoffrey Zakarian, Amanda Freitag, Marc Murphy, Chris Santos and Scott Conant, among a group of other occasional guest judges. MasterChef – This Fox Network cooking competition show features Hell’s Kitchen’s Gordon Ramsay as the main star, along with chefs Joe Bastianich and Graham Elliott. Recently the show has had a series called MasterChef Junior, which is a favorite of ours. It features children between age 8 and 13. Ultimately, 12 contestants are selected and then eliminated one by one with the ultimate MasterChef winning a trophy and $100,000. 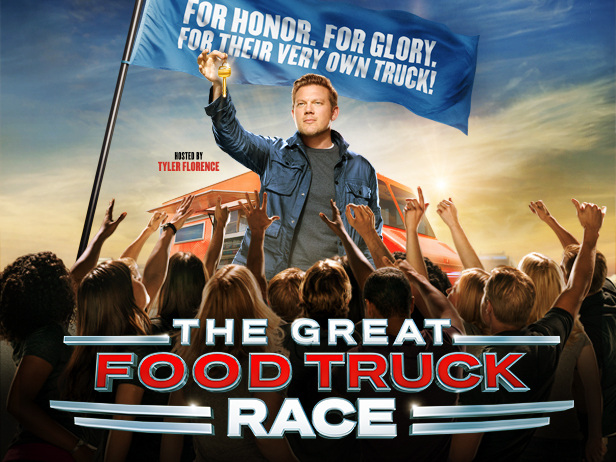 The Great Food Truck Race – Kind of like an amazing race coupled with cooking competition for Food Truck wannabes. Hosted by Tyler Florence, the show starts off with a number of specialty food trucks and their teams of three who travel across the country facing numerous cooking challenges and assignments. The team with the least amount of money earned at the end of each leg is sent home. The final winner gets to keep their food truck and a $50,000 prize. 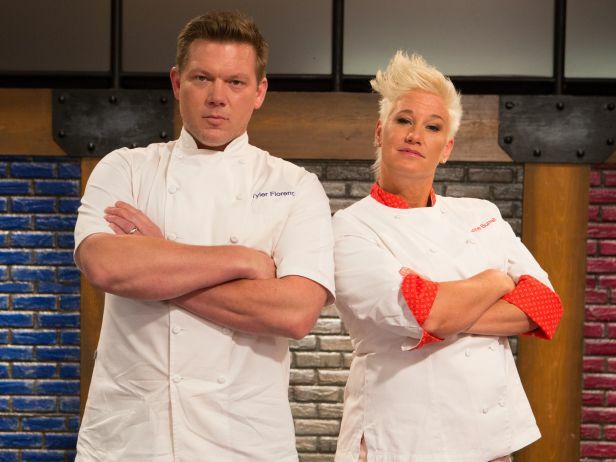 Worst Cooks in America – This show, which has featured Anne Burrell, an Iron Chef winner and restaurant owner, along with new co-host Tyler Florence, takes 12 “recruits” who supposedly are terrible cooks and runs them through a culinary boot camp, eliminating contestants each week until there is an ultimate winner, who takes home $25,000. Guy’s Grocery Games – This stars chef Guy Fieri, who gained fame for his Diners, Dives and Drive-ins show. Like many others, the show features four chefs competing in a grocery store with special twists and challenges. After the first three are eliminated, the final winner then gets a list of 10 items that must find in 2 minutes to win up to $20,000. 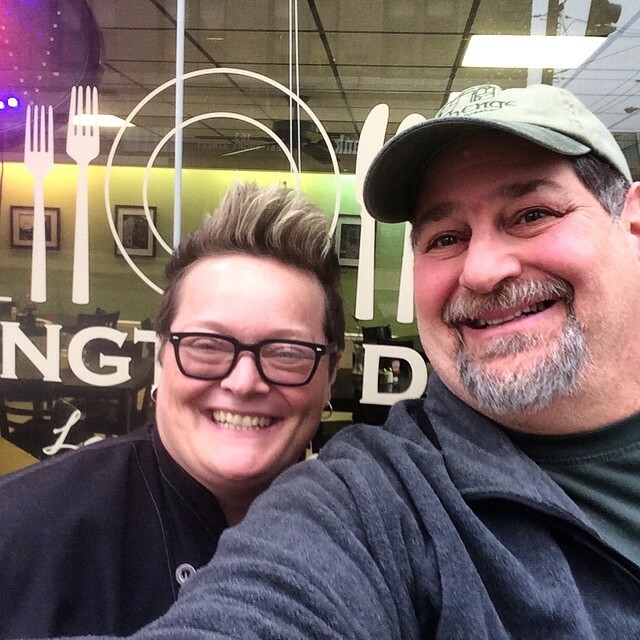 There was a diner owner in Lexington who competed in November 2014 and I have visited her and her diner. There are a number of others out there, but they all basically have two things in common – contestants and judges. As well, throughout all of the competitions there are a number of terms thrown out by the judges, which have always struck me as funny, because the usual normal person out there going to a restaurant to eat typically would never use any of the terminology. Over the past few weeks I have been keeping track of terms that are usually mentioned by judges in most of these competitions. I will detail them below, but here are a few: Acidity, flavor development, appearance, depth of character, pairing of ingredients. I have also learned restaurantese with terms such as sous chef, chef de cuisine, chef de partie and others. Then there are the interesting ingredients that isles common in the shows, but I had never heard of such as marscapone, pancetta, crėme fraiche and roulade. 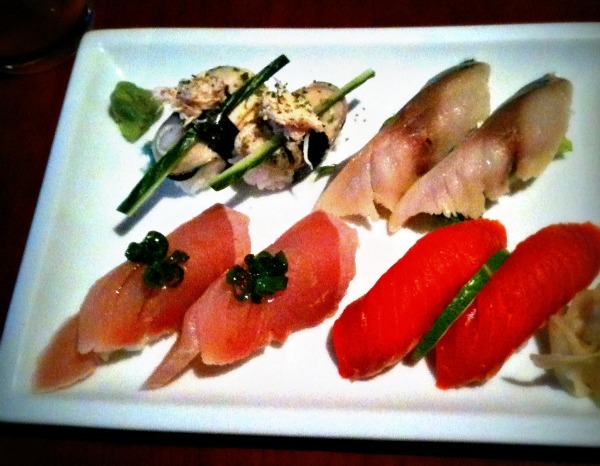 Then there is the appearance part…many of the dishes seem to demand an artistry of presentation. I mean, what is with the swoosh of cream or sauce on the plate? And then the exact placement of a spring of basil on top? 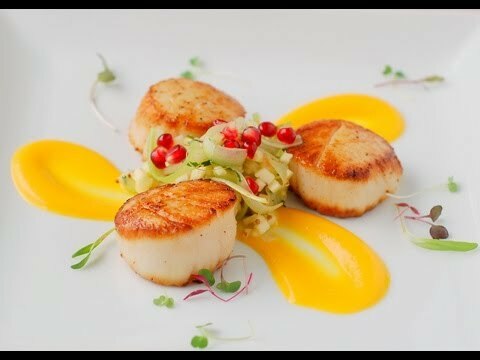 Does the artistry on the plate create a further appeal to the palate? Acidity: Commonly heard on the shows…not enough acidity…too much acidity. We all know what acid is, but what does it mean in cooking? If a dish has enough salt and still tastes flat, it’s often because it needs a mouthwatering burst of acidity—think of a squeeze of lemon on a piece of fish, or vinegary pickles on a sandwich. If a dish is too acidic, the way to achieve balance is to add fat or sugar to mute the sourness. 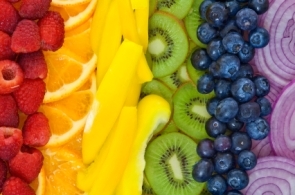 Appearance: Flavor development may be important, but the first step is the appearance of the food. 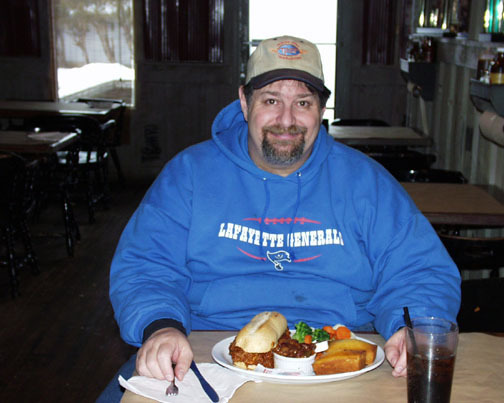 The appearance of food and beverages seem to influence craveability and a desire to partake of these items. 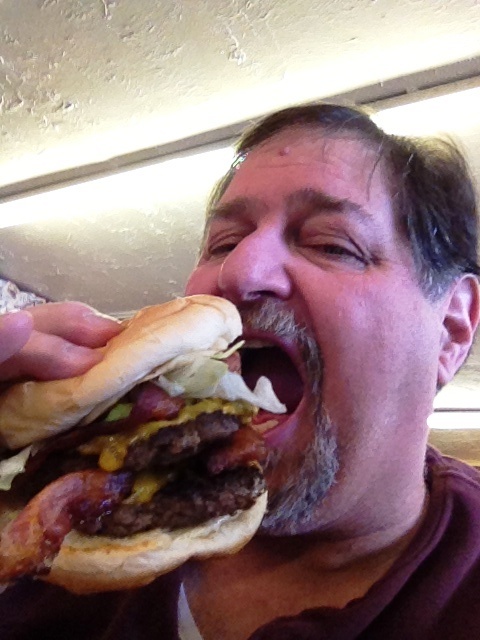 Ultimately, the appearance of food influences food choice. All of these shows have a heavy focus on the appearance. Presentation: Presentation goes along with Appearance. A definition in Wikipedia states that “food presentation is the art of modifying, processing, arranging, or decorating food to enhance its aesthetic appeal.” Presentation and Appearance are both a part of the Plating process, which makes or breaks most contestants, before the food is ever tasted. Plating: I get a kick out of watching the plating process on these shows. The methods of adding food on the plate, the swooshing of sauces (actually called “pulling”), the mixing of colors, etc. Pairing of Ingredients: I often hear the judges say “great pairing” or “poor pairing” of ingredients. I have heard often of pairing of wines to cheeses or meals, but never really thought about pairing of ingredients. Of course, my example above of using canned tomato soup to make tuna casserole is most likely a poor example of pairing!! 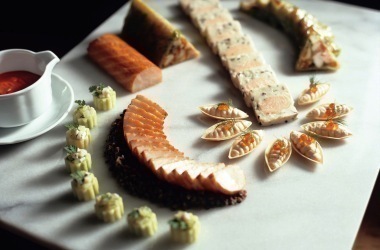 In researching for this post I came across a really interesting post about plating. You can read it here. 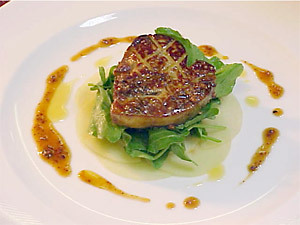 Called the “Art of Cuisine: Plating Sauces,” it was a real learning experience for me. For instance, the author notes “the ratio of the food on the plate to negative space should be 40% food and 60% “negative” space, i.e. space that isn’t taken up by food.” As if I really care, but, apparently there is a rule and I am sure that the “esteemed judges” on these shows know these rules. Everyone knows what a chef is. I grew up seeing Chef Boyardee in his chef hat, which I have learned is called a “toque blanche.” According to Wikipedia, The modern toque is popularly believed to have originated with the French chefs Marie-Antoine Carême (1784–1833) and Auguste Escoffier (1846–1935). So, we know what they wear, but I was never aware there were so many kinds of chefs. Following are three that crop up often on these game shows. Chef de Partie: When I first heard this name I chuckled in the thought that they actually have chefs whose focus is on parties. Well, not really the case. 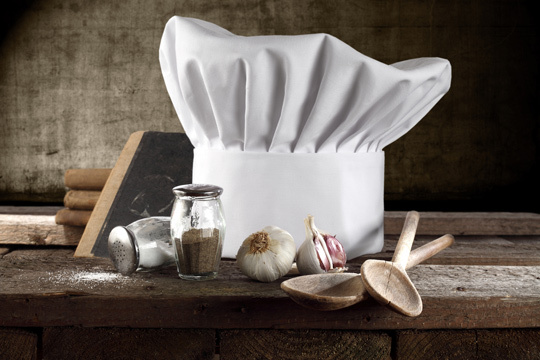 A chef de partie, station chef, or line cook, is a chef in charge of a particular area of production in a restaurant. In large kitchens, each chef de partie might have several cooks or assistants. 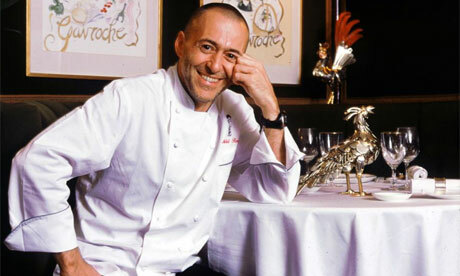 In most kitchens, however, the chef de partie is the only worker in that department. Line cooks are often divided into a hierarchy of their own, starting with “first cook,” then “second cook,” and so on as needed by the establishment. Wikipedia has a breakdown of the different line chef titles. 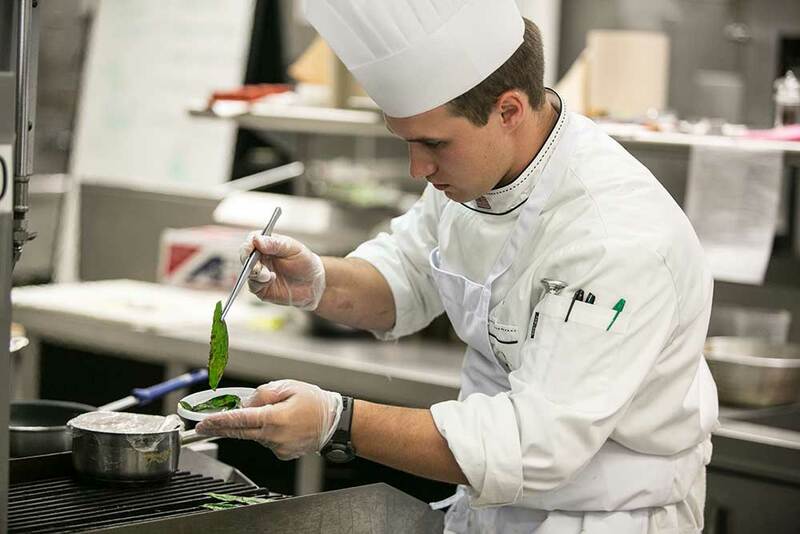 Chef de Cuisine: The Chef de Cuisine or executive chef is the main chef in a restaurant. He/she is in-charge of every other functional chef in the kitchen.This position is also known as chef manager, Head chef and Master chef. These cooking shows offer a literal cornucopia of ingredients, many which I have never heard of. There are always the usual ones – onions, vegetables, sugar, flour, etc. But what about marscapone, pancetta, crėme fraiche and roulade? I don’t think I have ever used any of these. Marscapone: Seems like this ingredient appears in almost all of the shows. I have learned that it is a type of cheese. But, why is it always used? Mascarpone is an Italian cheese made from cream, coagulated by the addition of citric acid or acetic acid. 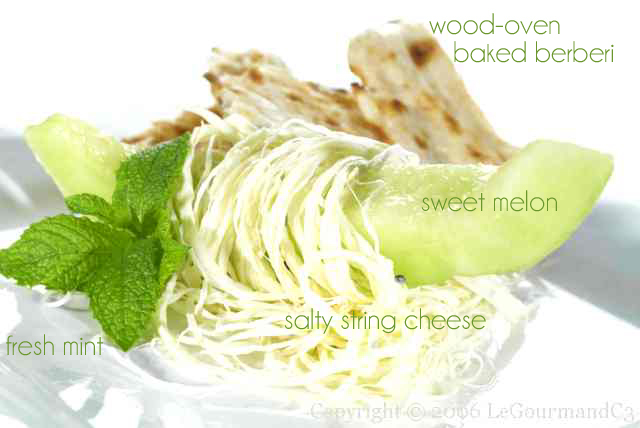 According to Cheese.com, mascarpone is used in both sweet and savory dishes. 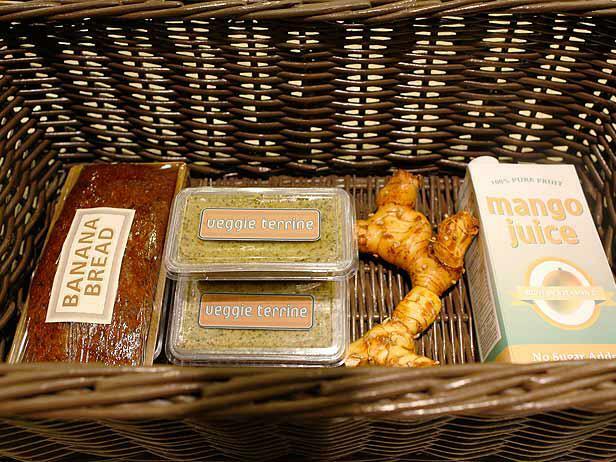 It is added to enhance the flavor of the dish without overwhelming the original taste. The cheese tastes best with anchovies, mustard and spices, or mixed with cocoa or coffee. Tiramisu, a layered dish with espresso, brandy, chocolate and Mascarpone has brought the cheese to the forefront of Italian cooking. Another possible use of Mascarpone is to thicken puddings and dessert creams. It is also popular as a standalone dessert served with fruit or syrup. 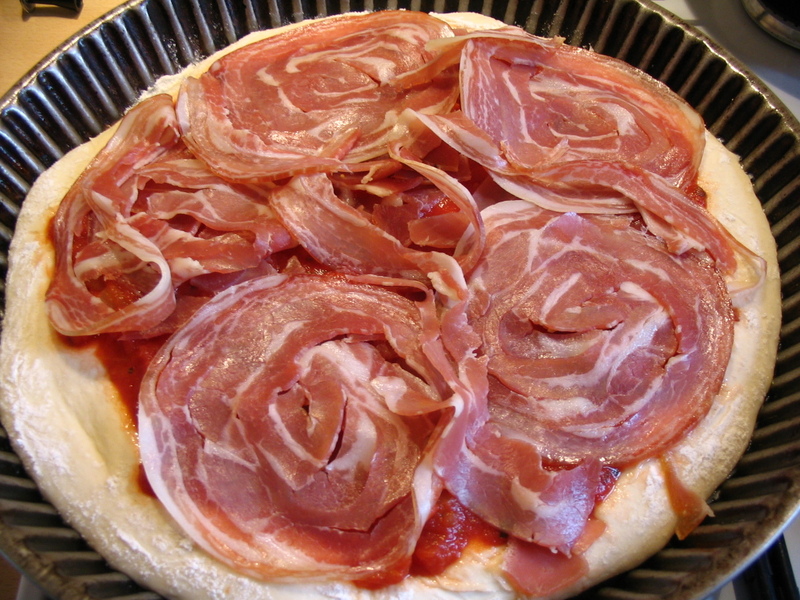 Pancetta: Pancetta is another ingredient I hear often. Seems to me like it is a type of bacon, but probably much much better. According to Wikipedia, pancetta is is Italian bacon made of pork belly meat that is salt cured and spiced with black pepper and sometimes other spices. 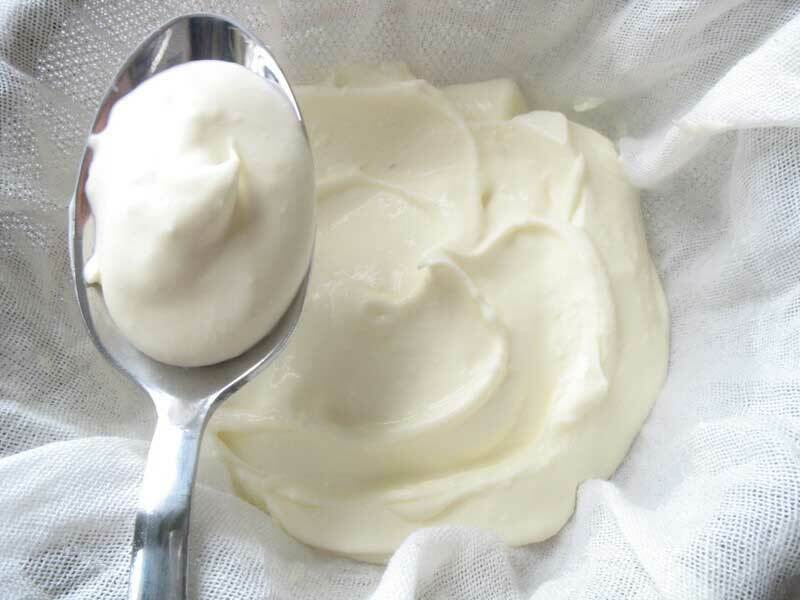 Crème fraîche: When I hear this one (which is also often), I end up thinking Cream Fresh and wonder why they call it that. 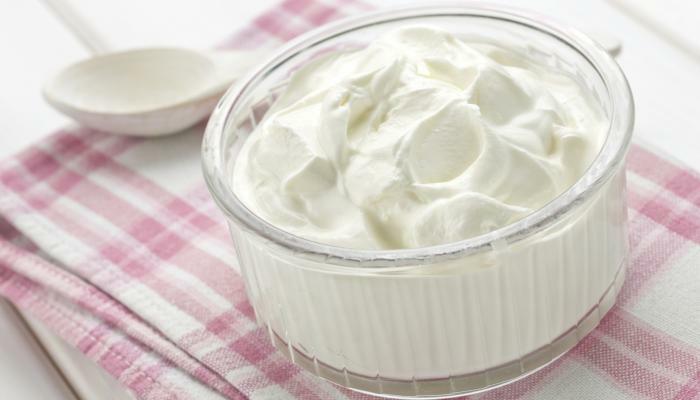 But, actually, Crème fraîche is a soured cream containing 30–45% butterfat and having a pH of around 4.5. It is soured with bacterial culture, but is less sour than U.S.-style sour cream, and has a lower viscosity and a higher fat content. European labeling regulation disallows any ingredients other than cream and bacterial culture. It is often used to finish hot savory sauces and is also the basis of many desserts and dessert sauces. 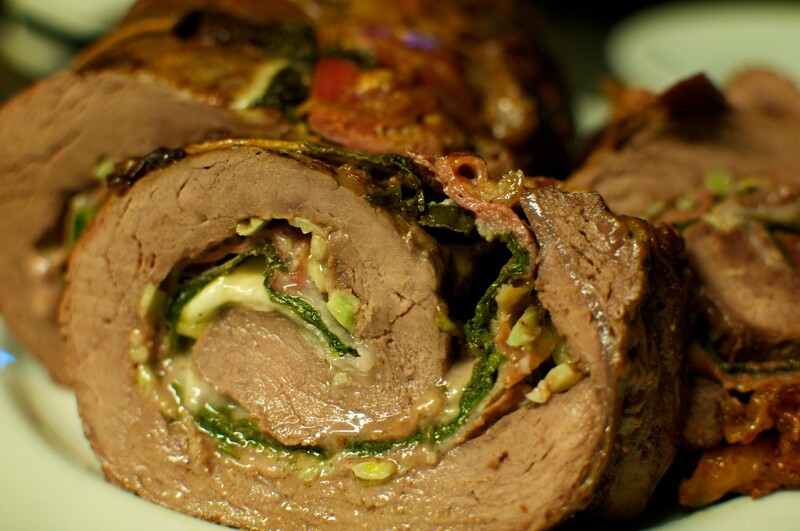 Roulade: A roulade is a dish of filled rolled meat or pastry. Traditionally found in various European cuisines, the term roulade originates from the French word “rouler”, meaning “to roll”. 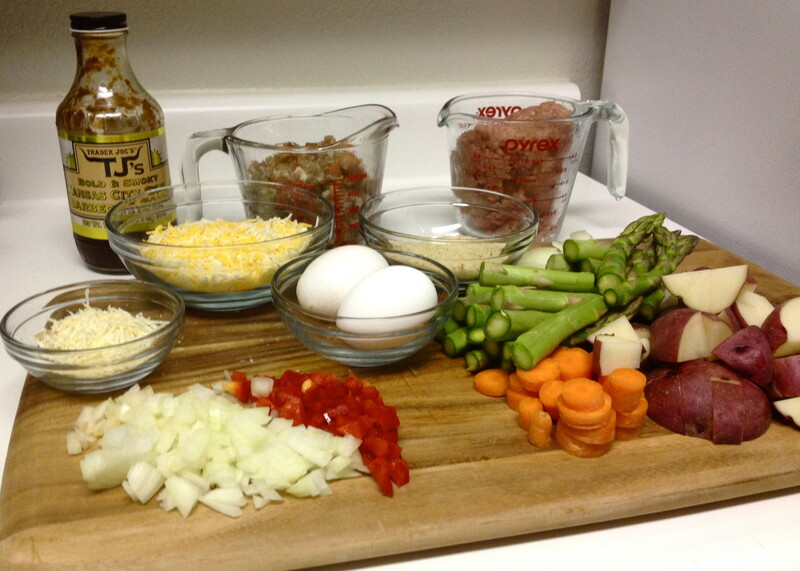 Al Dente: In cooking, al dente describes pasta and vegetables, rice or beans that are cooked to be firm to the bite. The etymology is Italian “to the tooth.” If pasta is too soft or mushy it is not al dente. Render Out: Often when the cooks explain their recipes on these shows, they talk about “rendering out” the bacon or pancetta. HERE is a good post about rendering bacon. Ultimately, render means “cook the fat out of.” The bacon and/or pancetta is almost always cubed when rendering happens on these shows. Mmmm….bacon…. Wine Reduction: So, how does one “reduce” a wine? Obviously, you can reduce the amount of wine by drinking some of it. But, I don’t think that is what they mean. Actually, in cooking, reduction is the process of thickening and intensifying the flavor of a liquid mixture such as a soup, sauce, wine, or juice by simmering or boiling. Reduction is performed by simmering or boiling a liquid such as stock, fruit or vegetable juices, wine, vinegar, or a sauce until the desired volume is reached by evaporation. This is done without a lid, thus enabling the vapor to escape from the mixture. Caramelize: I love caramels…those rich creamy candies. But, when a cook talks about caramelizing onions, I most certainly don’t think of caramels! Caramelization is the browning of sugar, a process used extensively in cooking for the resulting nutty flavor and brown color. As the process occurs, volatile chemicals are released, producing the characteristic caramel flavor. Guess what? Onions have sugars and that is why they are caramelized? Emulsify: Another word I have heard many times, but never really understood. When you whisk together two liquids—like oil and vinegar—that normally won’t bond together, you can cause them to form a single liquid that may stay stable for at least a short period of time. Think about what oil and vinegar look like when well-whisked – the result is thicker and almost creamy looking: that is an emulsification. A vinaigrette is an emulsified liquid. Socarrat: I like rice a lot. 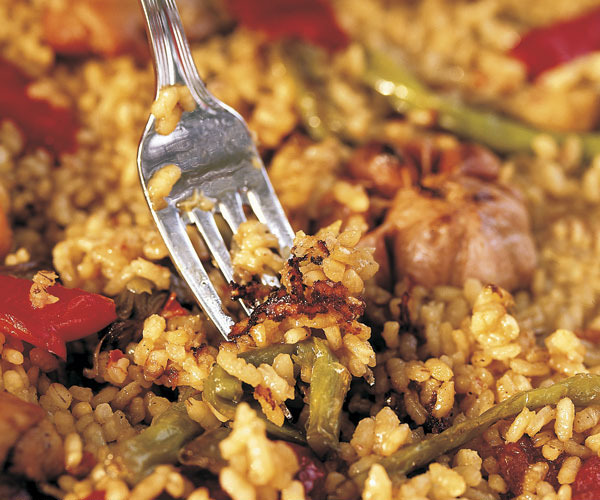 Especially a good savory rice that has been fried. Japanese/Korean Fried rice is wonderful, especially when some of it has browned and caramelized (there’s that word again!!) Turns out that the burnt and crunchy portion of a good al dente (Ha! used it too) rice grilled in a pan, like fried rice, is called socarrat. It is obvious that these game shows are meant for entertainment as chefs, cooks, culinary experts and the likes go at each other to show off their crafts and cuisine arts. But, they can be learning experiences at so many levels. Now I’m hungry! !